Perfection Management is the only true PBE (Paint, Body and Equipment) management system for the PBE jobber. It took over 20 years of hands on experience working in PBE jobber stores to design Perfection Management . A Fully Integrated and complete Business Management system with special features specifically designed for the PBE industry. Our products will surpass your expectations and make it affordable to grow your business. Perfection Management, Comprehensive Software For The PBE Industry. Perfection Desktop: Inter-Office e-mail messaging available at every workstation. 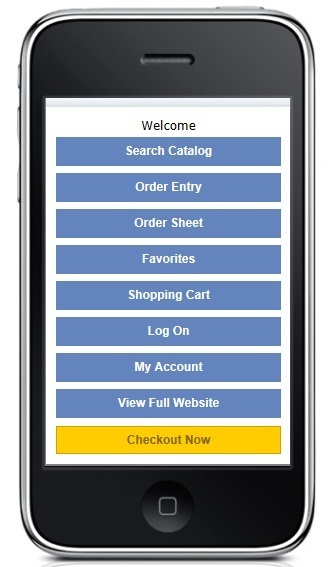 Use Mobile devices to take orders at your customer's site and interface with our Customer Stock Quantity Entry. Electronic Purchasing: Implement a B2B (Business to Business) portal for sending PO's, receiving PO acknowledgement and Advanced Shipping Notices. Web Service Integration: Interface your web-based presence with Perfection Management. Price Updates: Save time when you receive our price updates direct to your system. Customer On-Line: Customers can Internet directly into your system with full security to lookup inventory & place orders. Active Fax: Send invoices, statements or purchase orders via fax directly from your workstation. Custom Programming: Increase efficiency, develop new marketing strategies. We can make things happen for you! Bar Coding: We can help you implement bar coding to help your business grow.